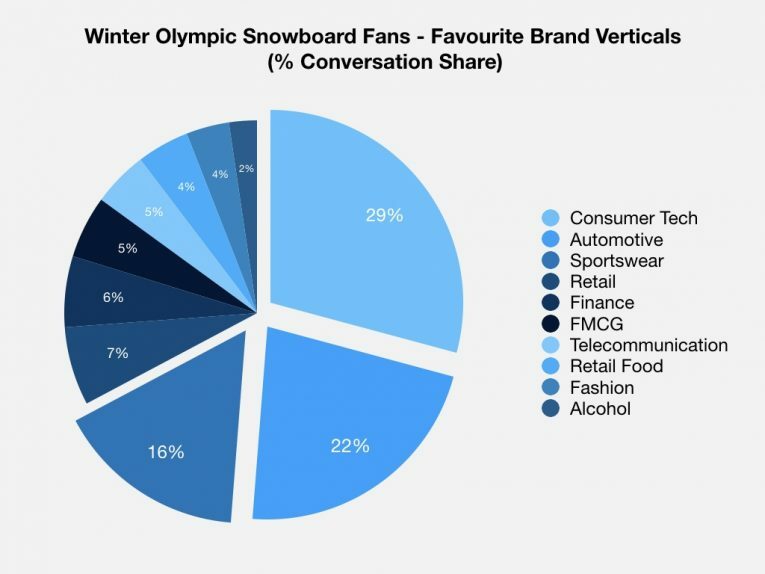 Winter Olympics: Which Brands Resonate Most With Snowboarding Audiences? As we enter the final stages of the 2018 Winter Olympics in PyeongChang, those of us who have been tuning in have been treated to some truly memorable sporting moments – especially in the world of snowboarding. We’ve seen 17-year-old American Red Gerard take home the Gold in the Men’s Slopestyle final, we saw Shaun White perform under incredible pressure to win his third Gold medal in the Men’s Halfpipe, with arguably one of the most impressive runs ever seen in competitive halfpipe snowboarding, and much to the delight of snowboarders around the world, we witnessed Czech snowboarder Ester Ledecka’s win Gold in the Super G ski race on borrowed skis. Branded a ‘killer craze’ by the Daily Mail in 1992, and still to this day banned by three resorts in the United States, snowboarding hasn’t always been welcomed with open arms. Yet, after taking the TV ratings by storm at the Vancouver 2010 Olympics, competitive snowboarding was well and truly on the radar of the bosses at the IOC, NBC and shortly after, an increasing number of non-snowboard brands. However, like their surfer and skateboarder counterparts, snowboarders are by nature very protective of their lifestyle, its culture and its future, making it very difficult for brands to be accepted by the core audience. This raises further challenges for brands looking to target this adventurous, affluent and youthful target audience. The global interest and attention that a mainstream event such as the Olympics generates is likely to produce an audience with significantly different preferences and behaviours than what we’d expect to see from an audience of snowboarders. 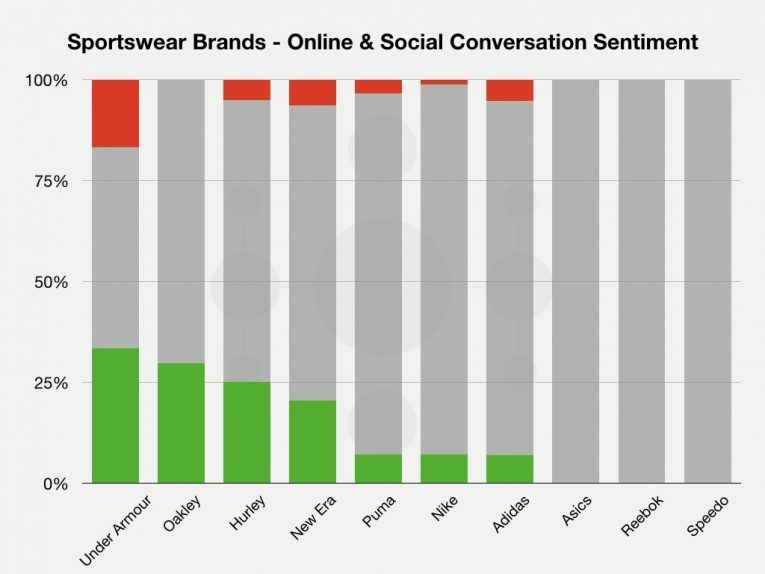 Using audience social data we were able to see that Consumer Tech, Automotive and Sportswear brands took the top three spots as far as this Snowboarding audiences favoured brand verticals were concerned. 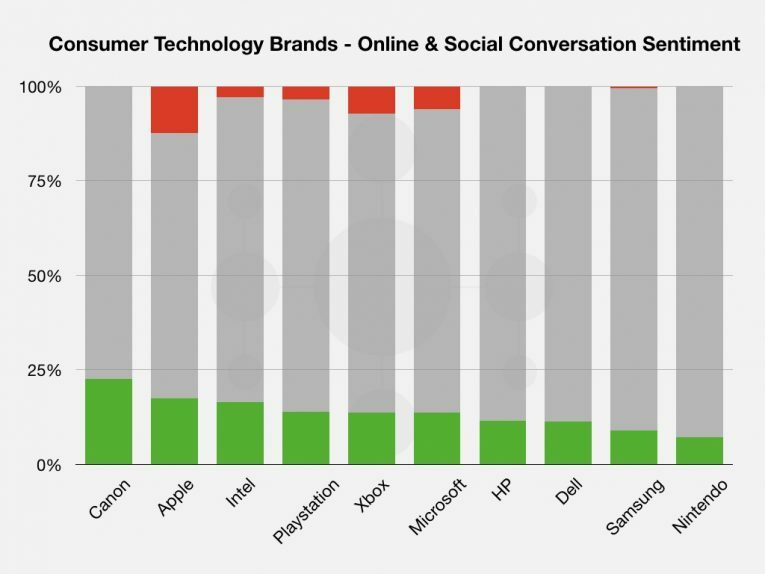 Using sentiment analysis, we determined that Canon, Apple, Intel and Playstation saw the strongest level of positive sentiment among this audience. However, due to an above average level of negative sentiment for Apple from this audience surrounding the latest iPhone and various glitches, we'd not recommend them as a potential sponsor. In fact, since they seem a potentially good fit as well as seeing a good amount of positive sentiment, it may be that PlayStation may want to consider making a return to competitive snowboard events following their long hiatus. 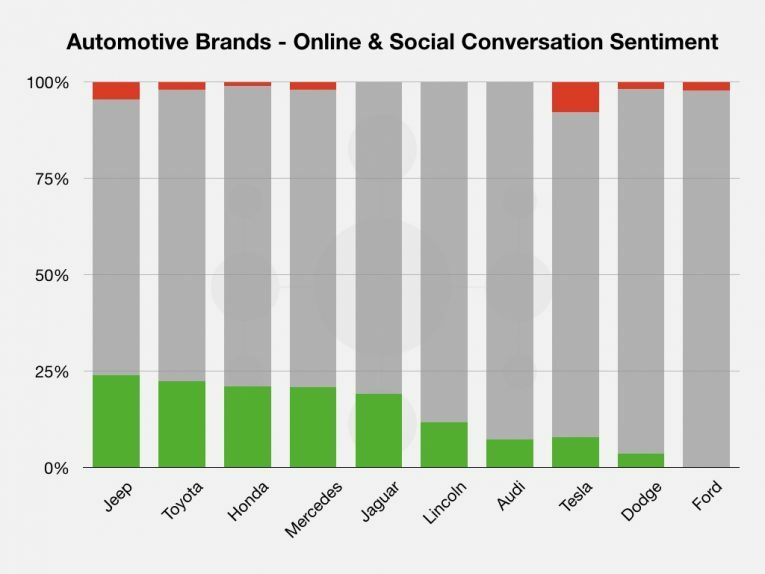 Looking at Automotive Brands we identified it was Jeep, Toyota and Honda who resonated the most with this audience – which we're confident will be welcome news to official Olympic Partner, Toyota. Sportswear brands are some of the few non-snowboard brands who have targeted the participants of snowboarding, with varying degrees of success. Nike played the long game with the ‘cooler’ sub-brand of Nike 6.0, which by the time they stopped producing outerwear and snowboard boots following the 2014 Sochi Olympics, they were operating under the Nike Snowboarding umbrella and were by the most part fully accepted within the snowboard community. Adidas and Under Armour have in recent years played a similar strategy through signing several well-respected athletes to push the brand. However, University outfitters Jack Wills were less successful. This is one category in particular where we’d expect behaviours and preferences between the mainstream Olympic audience and the core snowboard audience to drastically differ, despite the crossover. 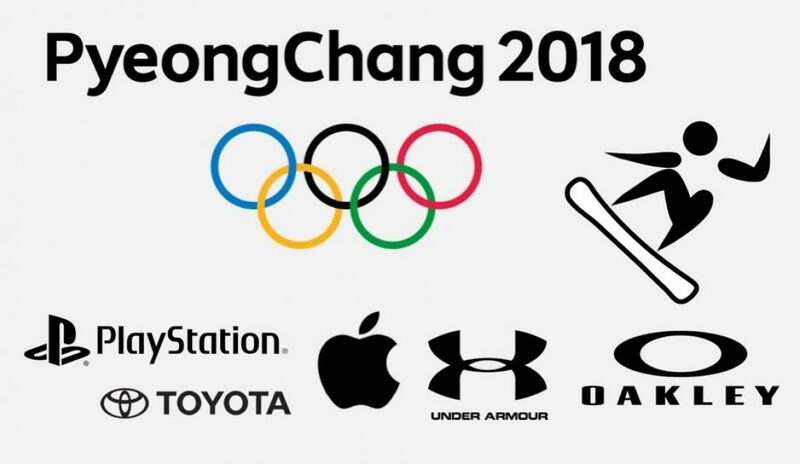 Looking at the sportswear brands who resonated with those with an interest in snowboard events at PyeongChang - Under Armour, Oakley and Hurley all saw strong levels of interest in addition to high share of positive sentiment. As mentioned above, Under Armour have in recent years invested significantly in technical ski and snowboard outerwear with a team of heavy hitters including Canadian PyeongChang Olympian, Tyler Nicholson. This above average share of positive sentiment from the Winter Olympics Snowboard audience is further confirmation that Under Armour's position in action sports is welcomed by both the Olympic audience and the snowboard community. Oakley have long been part and parcel of the action sport scene and do a very good job at appealing to both fans and participants of these sports, so it’s not a huge surprise to see them appear highly in this list. Like Oakley, Hurley are another sportswear brand with a successful history in boardsports, namely Surfing. Here we see the brand resonating with those with an interest in snowboarding, which suggests a bigger push into mainstream snowboarding events by the Nike owned brand would be welcomed by the audience. It’s already becoming apparent that as the appeal of the laidback culture and adventurous lifestyle associated with snowboarding expands much further than just those who partake, more brands will be using this increased attention generated by events such as the Olympics to better target their existing audience, or to appeal to new audience demographics, interests and behaviours. The snapshot of audience intelligence seen in this article highlights the vital importance of understanding your audience, especially when targeting the less than straightforward worlds of snowboarding and action sports in general.